The new Royale XXL Euro is the result of numerous requests from continental anglers for a large bivvy with an internal mesh dome. Based on our top-selling Royale XXL Dome this new Euro version features a handy inner mesh dome with built-in groundsheet to aid comfort, increase warmth in the winter and help keep you cool in summer. 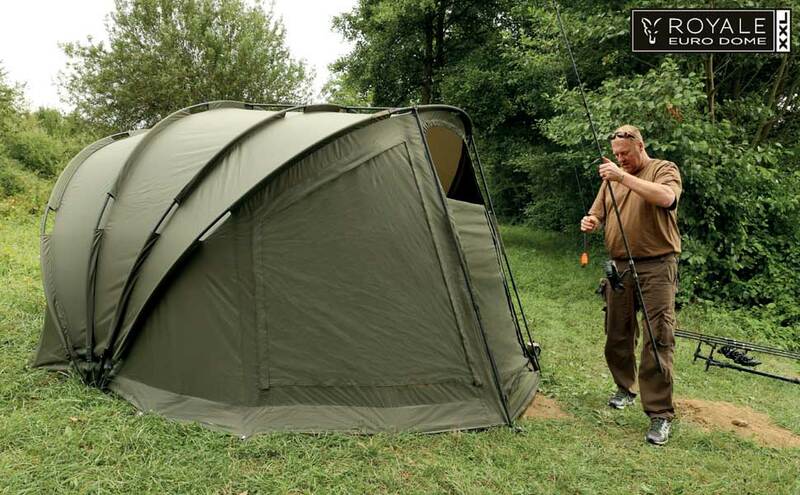 In addition to the inner dome, the Royale XXL Euro also features a heavy-duty zip-in groundsheet as well as many other top features that make this massive bivvy massively appealing! The Royale XXL Euro also has an Extending Wrap that can be purchased separately. By adding the extending wrap you not only make the XXL Euro noticeably bigger but you also further increase the warmth in winter, help to keep cooler in summer and reduce condensation. The front door on the wrap is designed to replicate the one on the main bivvy.